MSI’s GeForce GTX 650 TI Boost Edition falls under MSI’s latest Gaming GPU brand which were teased at the CeBIT 2013. The GTX 650 Ti Boost features 768 Cuda cores, 2 GB GDDR5 memory running along a 192-bit interface and has GPU boost technology which wasn’t included on the reference GTX 650 Ti. 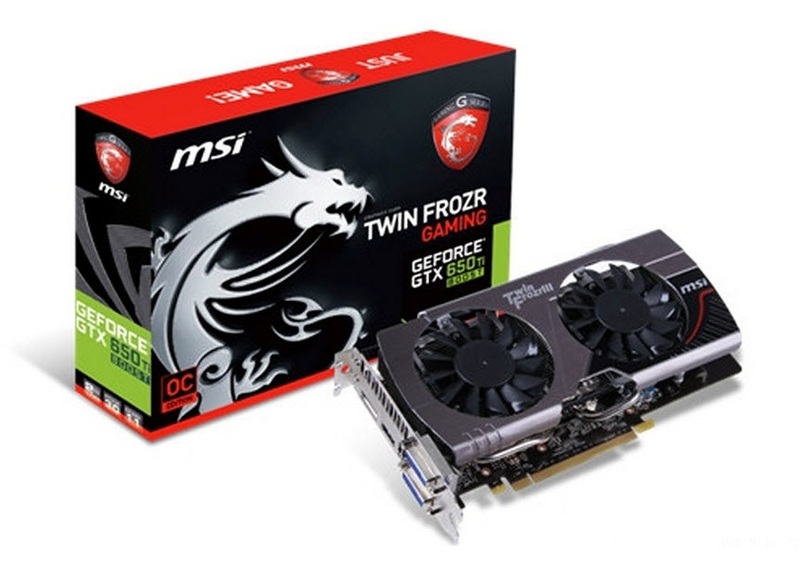 The MSI GeForce GTX 650 TI Boost Gaming Edition GPU is an overclocked variant of the GPU which is core clocked at 1033 MHz however the boost clock is not known at the moment. The memory is clocked at 6008 MHz or 6 GHz effective clock speed. The faster 192-bit GDDR5 interface would provide a much needed performance boost to the GPU compared to the 128-bit interface found on the GeForce GTX 650 Ti. The GTX 650 Ti Boost from MSI comes with their much acclaimed Twin Frozr III heatsink that cools the GPU with a large aluminum heatsink through which heat is conveyed with a single heatpipe. Two PWM fans cool of the internal components. The card itself is a dual slot variant which includes Dual Link DVI, HDMI and a display port for connectivity. 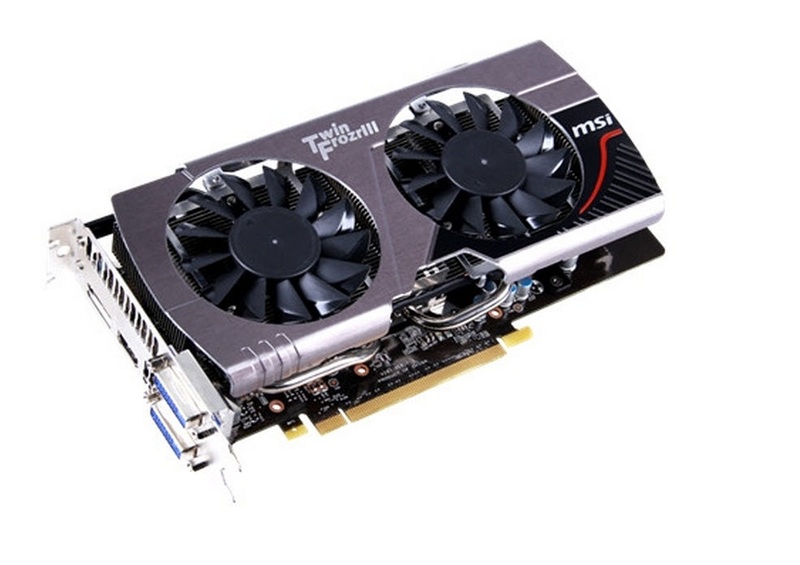 Being a custom model, the MSI GTX 650 Ti Boost Gaming GPU features a stronger PCB design compared to the reference models with a 4+1 VRM fitted with MSI’s Military Class III components which include super ferrite inductors and tantlum capacitors for longer lasting power and stability demand. 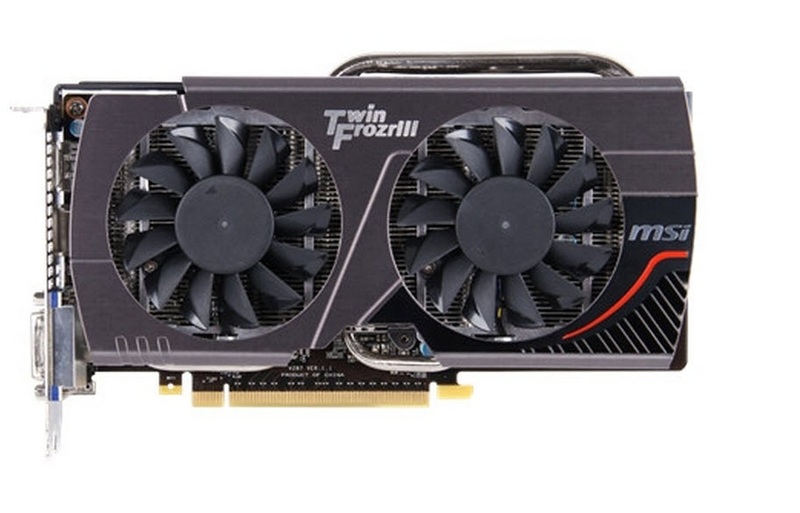 The MSI GeForce GTX 650 Ti Boost is expected to launch with in this month at a sub $200 price range. It would directly tackle AMD’s upcoming Radeon HD 7790 Bonaire GPU which launches tomorrow.